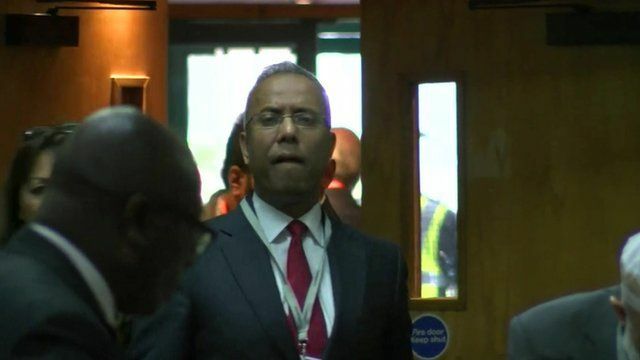 The Mayor of Tower Hamlets has been accused of electoral fraud and corruption at a special court hearing. Four people are claiming postal ballot forms were rigged and voters were bullied at polling stations. They want the mayoral election re-run. Barristers for Mayor Lutfur Rahman dismissed the allegations as "hysteria and myth". Andy Erlam from Tower Hamlets Election Petition; councillor Oliur Rahman, the deputy mayor of Tower Hamlets and John Biggs, defeated Tower Hamlets mayoral candidate, all give their views on the High Court hearing.